Below are this years 10 N1SCO ambassadors along with the list of partnered SUP retailers. The partnered retailers are geographically spred around the country to support their local riders and offer support to any paddlers that would like to discuss N1SCO and ways to get involved. 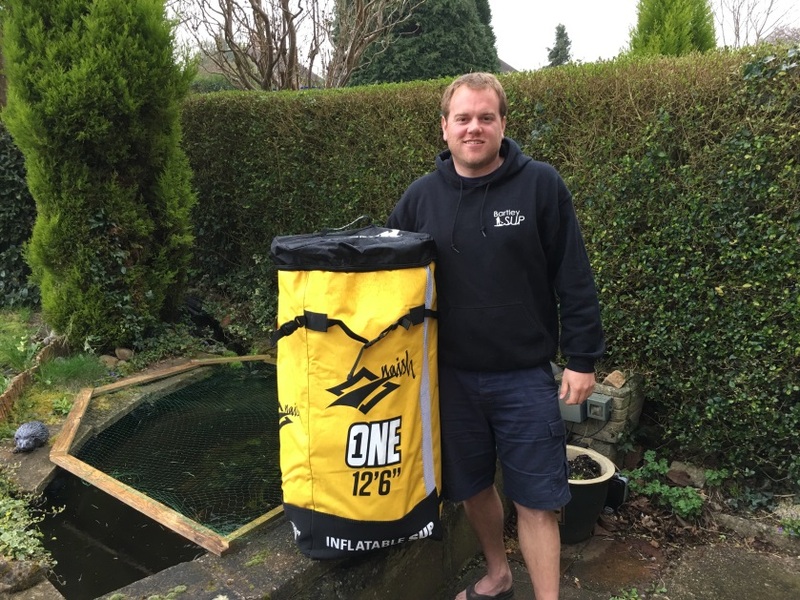 If you see these paddlers in your local area or shop with the retailers and want to try N1SCO, just ask. Riders can tell you their honest experiences and through the retailers a demo on a Naish One can be made available. What got you into SUP? What attracted you to N1SCO racing? What is your SUP goal for the year ahead? I’ve always enjoyed surfing but found it difficult to keep that hobby going (given that I don’t live by the sea). When I found out that you could ride a board on any type of water and without waves, I was sold ! I tried it last summer on a lake and was hooked from that point on. Once back in London I joined a local club and have kept on paddling through the winter. I’m looking forward to these coming warmer months ! I really want to learn the right techniques, meet other keen SUP’ers and a girl from my local club mentioned how she had been part of the team last year and enjoyed every minute of it. While enjoying keeping fit, I am not much of a gym bunny so I thought getting into racing would be a nice way to build some exercise in as well and set myself some goals. To improve my technique and get fitter while enjoying beautiful scenery with lovely people! If when I look back on the season I see some level of improvement with every race event, I’ll be really pleased with that. I would love to say it was someone inspirational like Laird Hamilton, but the truth is, I’m afraid it was Mike Bushell. Yes the little chap from BBC Breakfast who tries out lots of new crazy sports! I was watching it one morning and there he was trying Stand Up Paddleboarding. I’ve always been into surfing but being based in the Midlands it has always meant a long drive to the coast to indulge. Seeing SUP on the BBC, I knew it was something I had to try. That was about four years ago and I was immediately hooked and haven’t looked back. I relish the idea of an even playing field where the only difference is the organic element, namely me on the board, so things could be quite close with everyone. There are different skills required which look quite technical so that is really appealing. 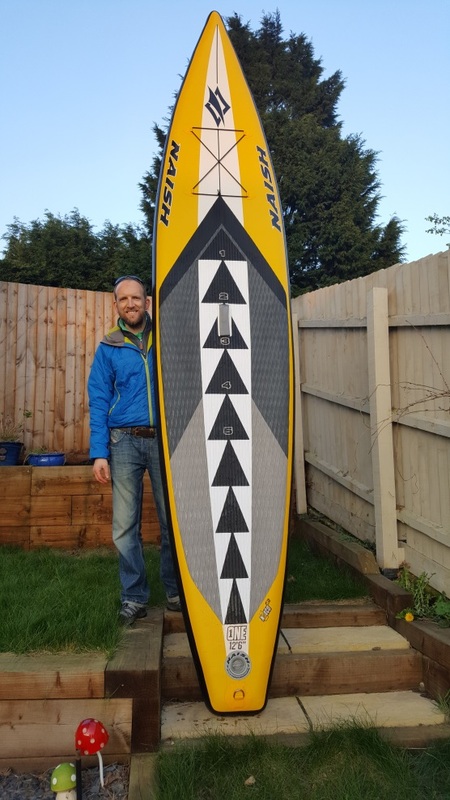 To top it all, the fact that Naish are very generously loaning me a Naish One inflatable race board to compete with is amazing! 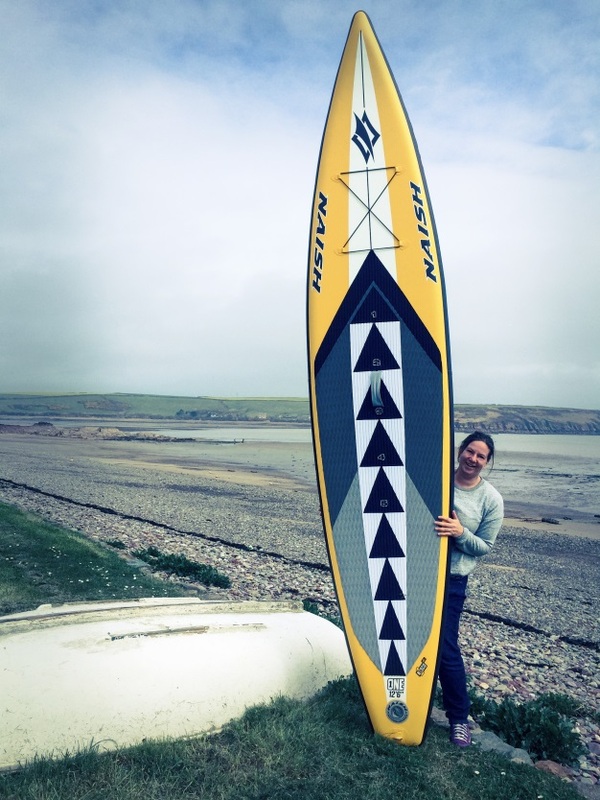 To really enjoy and embrace the opportunity to race in the N1sco SUP series, to meet and mix with like-minded individuals and experience the various locations that the series takes us to, oh yes and not to be last at the end of the series…! It was actually a first date on a N1SCO. I was up for giving SUP a try so agreed thinking it would be a little paddle for my first attempt. However, 16k later I decided I quite liked paddling. Luckily I didn’t fall in the canal !! Each year I like to have a new fitness challenge, so decided N1SCO racing would be perfect for 2017. 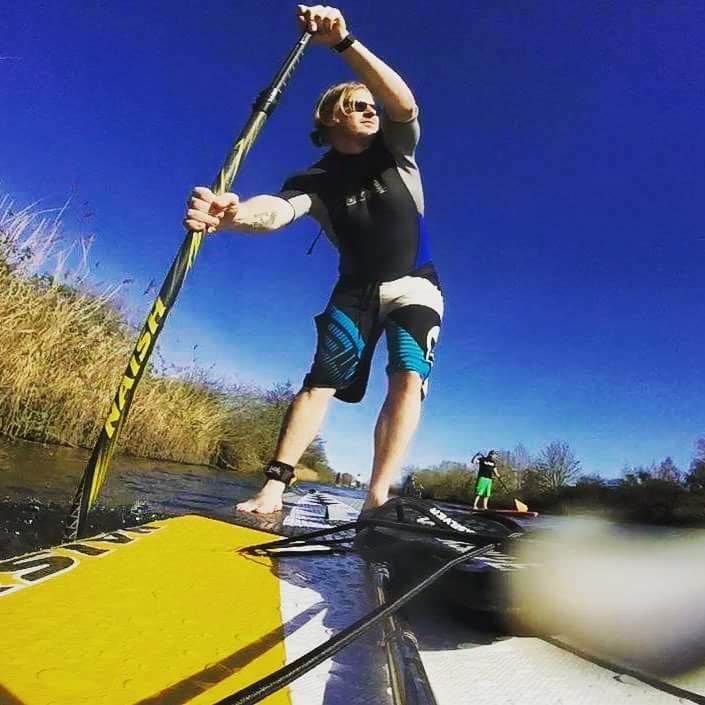 Being from the Midlands, I have mainly paddled on canals and rivers, so the races will be a good opportunity for me to gain experience paddling on the sea and seeing new locations. Also it will be great to meet other paddlers, pick up tips and have a few beers along the way (after the races of course!). I want to improve my paddle technique, become faster and be confident paddling in all conditions. 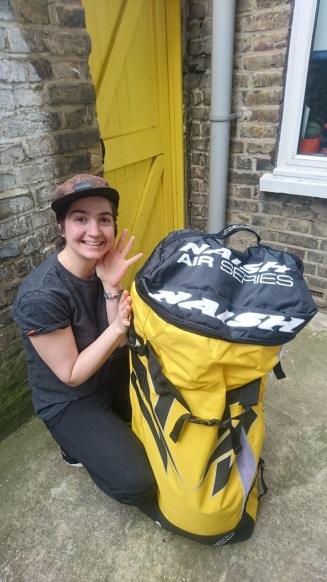 As well as racing in all the N1SCO and UK SUP races, I also want to complete the Trent 100k challenge (which finishes in my home town of Nottingham). The ability to easily explore my coast line and rivers whilst keeping fit. The fact that everyone is on the same board so it’s down to a battle of technique not wallet size. To take part in as many races as possible. I love being on the water I find it so relaxing and also a great workout. I also windsurf and one day when there was no wind, I spotted some paddleboarders out and I thought that looks fun. So I took one of my old windsurf boards and a cheap paddle hit the water and ever since that moment I have been hooked. I was referred by a friend I met paddleboarding. I had never even looked into the race side of the sport but she said with my passion for it I should go for it. I am still nervous about entering the race side of things and not too sure what to expect but I am sure it will be great fun and an awesome experience. To improve my technique, fitness and experience in the sport and to gather as much advise from the pros as I can. 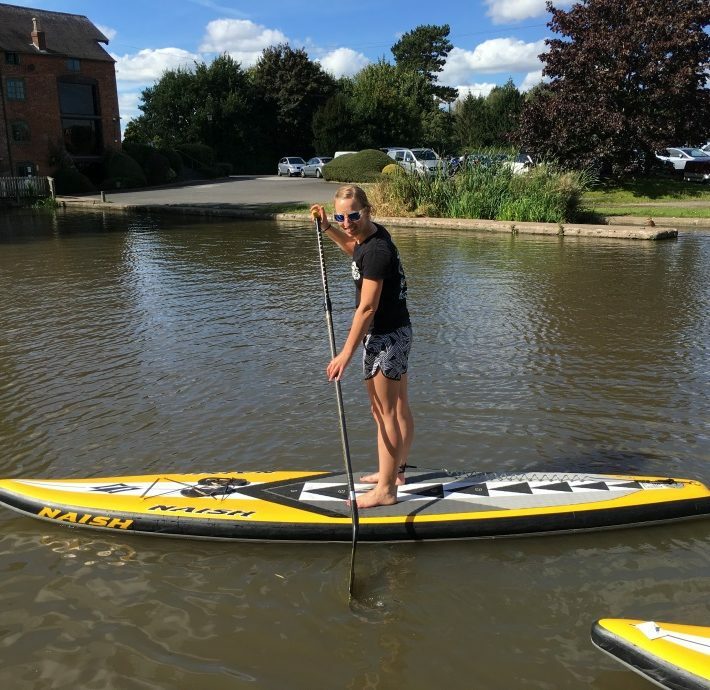 Working in the water sports industry, SUP was a new exciting activity we were offering and as soon as I got on a board I loved it….. Many years later I’m still loving it!! It’s so accessible and with the right training can get you standing up and enjoying it in no time. My goal for this year is to SUP as much as I can, explore the world of Adventure SUPing and SUP racing is a key part this year working on fitness to compete with the top guys. It seems like I’ve always been a paddler. I started kayaking at school in Wales and went on to travel and meet some awesome friends in the sport. 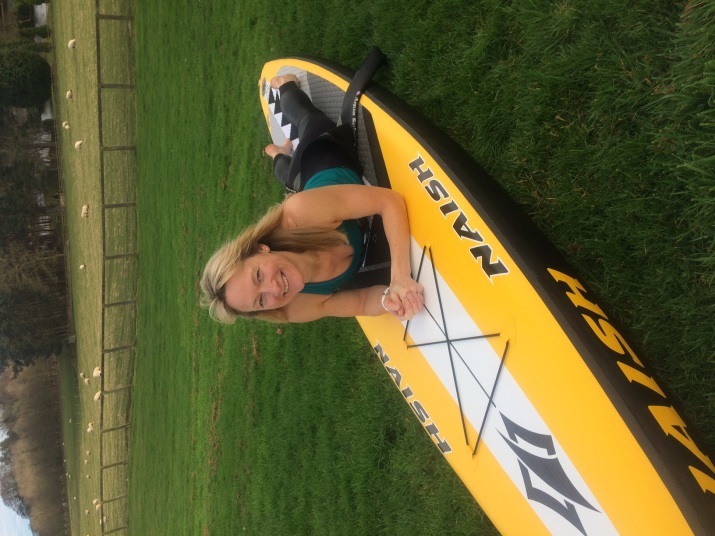 I married a paddler and when we moved to Weymouth it seemed a natural progression to get into SUP boarding and I’ve loved it ever since. I took my kids to watch the N1SCO races at Portland last year and it looked fun. There is a great culture and community attached to the sport and I wanted my family to be part of that positive atmosphere, whilst I get to be challenged of course. My SUP goal is to explore. I want to have paddled all of the UNESCO Jurassic coastline this year. It’s so beautiful. I heard the Aussie golf team had all got paddle boards to help with their core strength and I was curious. Soon after the local kite surfing instructor had just bought some paddle boards, he asked me if I wanted to come on a river paddle with him (which I did and I loved). I kept coming back. To complete the races & to get faster & stronger and to enjoy it! 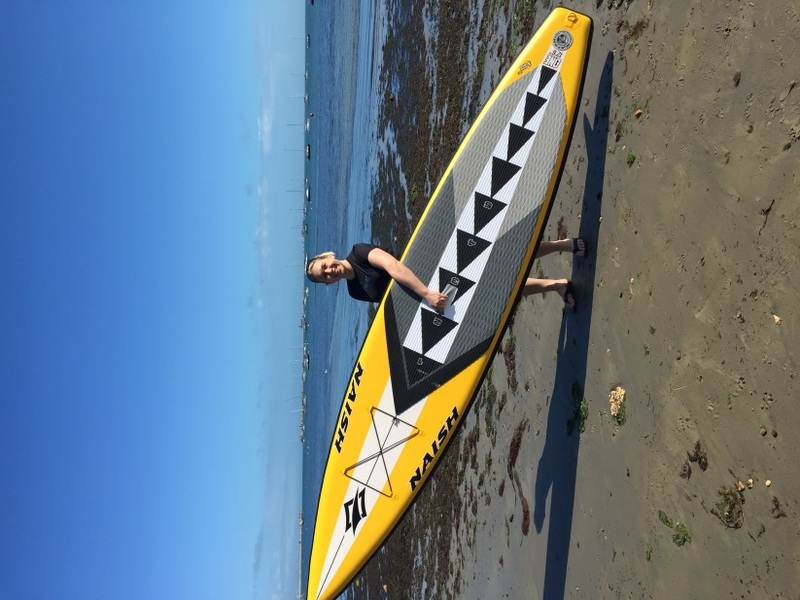 I got into SUP to get fit. 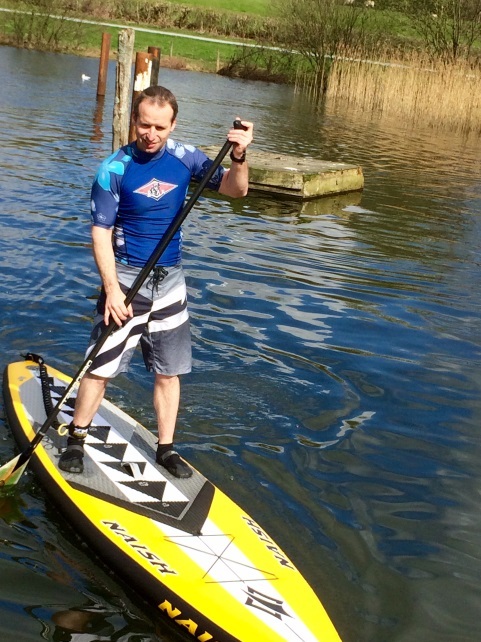 I first tried SUP when I got a gift voucher for my birthday. I have done some supbikerun events and tried the Nisco racing there. I want to improve my skills and performance and to meet new friends. 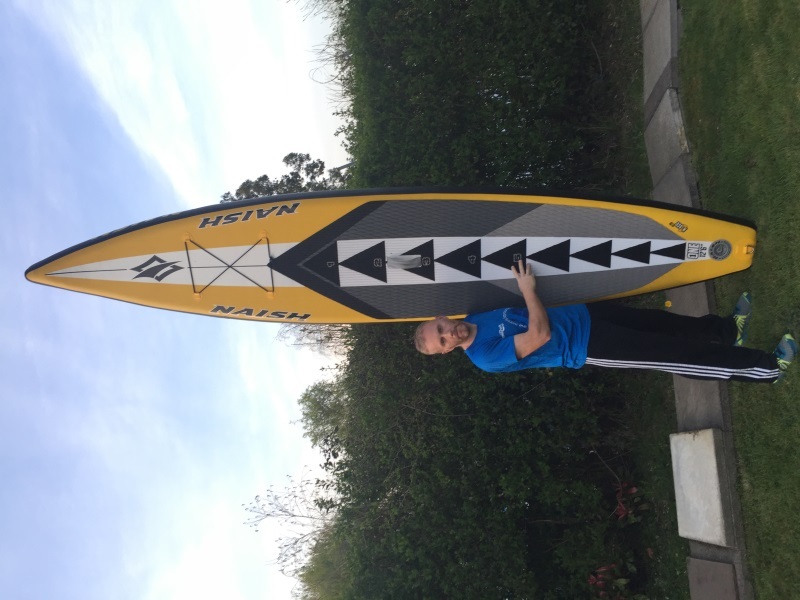 I first tried SUP through my local windsurfing club. They have an old windSUP, and I paddled one out in the waves on a windless day. Instant fun! Since then I’ve really enjoyed SUP surf and touring. I used to love long-distance running, but my knees can’t take the pounding and SUP fills that gap. The fact that everyone is on the same kit is a great concept. It’s going to make it easy to see what level I’m at and how I’m progressing through the race season. Also, the multiple race formats means it can appeal to all. I have many! Of course, I want to have a go at every race I can. I’m also keen to challenge myself with some long-distance SUP races. My first race is April 2nd and the last of the season is 21st October so I’m excited to see how my racing changes over the year.